After the initial release of Divi, our main goal has been to monitor the support forums and address any bugs that pop up. Despite our own internal beta testing, there will always be unexpected issues when a theme is released into the wild. Not only do we want Divi to be our most beautiful and robust theme, we also want it to be our most solid and stable theme. In version 1.3, we have fixed a long list of bugs, and even added a few new features as well. – Added id and class options to modules. Defined et-hide-mobile class, it can be used to hide the module on mobile devices. Custom CSS For All Modules And Sections – Perhaps the most useful feature of 1.3 is the ability to assign custom CSS classes and ID’s to any module or section. This allows for custom CSS styling for any element on your page, as well as the ability to link to individual parts of your page using ID’s. With the ability to assign ID’s to each section, one-page websites are now easy to create with Divi. Fixed Navigation Bar – There is now an option in ePanel to disable the floating navigation bar in favor of a fixed navigation bar. This is especially useful for those who want to use a larger logo image in their header without obstructing their visitors’ viewing area. In the current design, logo images are restricted in their height for this reason. Automatic Slider Option – All sliders now have the option to enable automatic transitions. When enabled, your slider will pan through each slide automatically at a rate you define. No Animation Option For Images – In the original version of Divi, all images are loaded using lazy-loading animations. You could choose the direction of the animation, but the effect could not be disabled. There is now an option to remove lazy loading completely if the effect is undesirable for your current project. Slider Image Vertical Alignment Options – The way slider images are handled in the Divi slider module has been re-vamped. You can now choose between two alignment options (center and bottom), which will keep your images aligned correctly in any situation. In the original version of Divi, your image’s position in the slide was based off the source image’s height in the relation to the amount of content in the slide, which lead to erratic results. Image Cropping Adjustments – We have re-thought the way that images are cropped throughout Divi. On single post pages for the Blog, Shop and Portfolio, featured images are resized but not cropped to ensure that the full image is always displayed. Featured Images on the index pages of the tiled blog are now given strict cropping guidelines to ensure uniformity in the design. Great work! Love the theme, but I’ve been waiting for these bugs to be fixed before making the switch. I am absolutely ignorant about websites but wanted a blog where I could also have merchandise for sale and affiliates. Divi seemed perfect. Downloaded it. Now can’t find anything I paid for. especially shops. H.E.L.P! Why is the divi logo so tiny? I have uploaded multiple sizes and it keeps lowering the size to a ridiculously small size that I can’t even read. 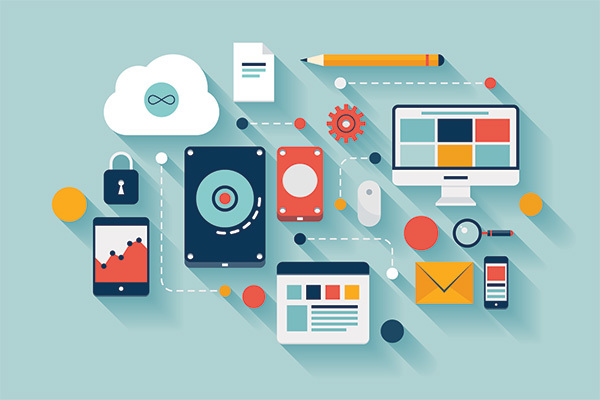 You must have some web development knowledge in order to make such changes. My recommendation is to hire a professional if you plan to customizing your website. Under “Appearance” select “Divi Theme Options”. In the box copy and paste in this code…. Then hit the save button. Now you can go into your general settings, upload your logo and select the size you want and it appears in that size in the logo spot at the top left. It would be nice if you’d stop dictating which mail service we use – MailChimp?! – and make the theme intelligent for intelligent people who like to make their own decisions – without having to hire someone to specially code the theme.. I’m sorry – but that’s just annoying and ridiculous. Fix that in your next round! I have referred so many clients to you and yet you force them to deal with this handicap. I have requested, begged, pleaded and said I would pay someone to help me in your support forum. I have gotten not help. Can you tell me PLEASE where to go to hire someone to help? I updated the theme and it made changes in the modules, I do not know how to correct. I do not have coding experience and need someone to do this for me. Please can you offer assistance. After its installed you will see the shop options. I love Divi and now with all the updates it’s getting close to the perfekt wordpress theme anyone can ask for. Thanks a lot! Great work you did there! Using it already on two websites! The problem she contacted me about is with reference to the slider.. It does not easily transport to mobile.. I’m working on a huge phablet Note 3 screen and I cannot get the content she wants to look the way she wants on the existing slider.. So I am having to go to third party rev slider or layer slider inside a DIVI text module to get what she wants up on the mobile or small tablet site..
That creats all kinds of problems with the hack (css) for the interface..
since Xthemes and Avada are already including rev slider and layer slider in their packages? I’m wondering if you guys are working on a mobile responsive slider for DIVi to be included in the actual package? I agree Adam. This was what Iw as hoping / waiting for! Nice updates, though I hope you will continue to make and release new themes as well as continuing to work on Divi. I am not interested in Divi and I’m sure I’m not alone, so if I am going to continue my membership when it expires later this year, I need to have a reason. If all you’re going to do for awhile is update Divi, I have no reason to give you more of my money. Bad form Geoffrey. Seriously. Divi is such a fantastic advancement for elegantthemes, don’t you think that all of the great features and functionality of Divi will end up being carried into new theme designs. Divi is a fantastic theme like no other I’ve seen so far. Keep your negative attitude to yourself and leave the team at et alone so they can develop more great themes like Divi. BTW. I vote for continued improvements to Divi. Bad form Char. He was just stating an opinion. Relax. I don’t think he was being negative at all. I love, LUV, Lerve the new Divi theme but I also Love several of the other themes that ET makes, err, made. And since (more than a few?) haven’t been updated in quite a while it’s disappointing to those of us currently using workaround after work around to make the websites built with those themes continue to be fresh and easy to use. Now I don’t advocate jumping the ET ship at. all. It continues to amaze me that no other theme developers have seen the loyalty that ET has developed by creating a reasonable membership fee with usually outstanding support and an ever growing plethora of cool themes. But hey, it ain’t no skin off my back. So I’ll continue to remain loyal to the crew that managed to talk me (and countless others) through my own website design. But I won’t be kicking anyone one who disagrees with me anytime soon. Wow! This is the type of community that ElegantThemes has? I find it to be bad form Char, Patty, Adrian Bernstorff, Ray. Seriously, someone expresses that they prefer new themes over just updates to one theme and you act like this… You all should be embarrassed. He pays like the rest of us and correct me if I’m wrong, the POINT of theme club/membership is to continually receive NEW themes. Nick can thank the five of you for me not renewing my Developers membership. I’m sure he appreciates you losing him business! Sickening individuals, you five are. I think you have no idea of the hard work he did as Nick and his team with Divi. See Ya! Don’t let the door hit you on the way out Geoffrey. The word snotty springs to mind for some reason… can’t think why! Hello everyone, lets remember that not everyone sees the opportunity that Divi brings. Maybe we should be a little more understanding and let Geoffrey find what themes serve his need. I am sure once he sees the growth of Divi and the other likely improvements on Elegantthemes he will feel compelled to re-join! Whatever you decide Geoffrey I am sure your suggestions, patience and decisions will be welcome. As for me I am a huge fan of Divi so feed me, feed me! My 2 cents! Tried out the original and just did not work with usage for dynamic content and images. Failed for magazine style usage for me. I’d like to see some themes released, not just frameworks. If divi is the platform and some good themes come out of it. Then good. If not, I too will rethink at renewal. I can totally agree with your comment. I was wondering though, can’t you create pretty much all the themes that were released so far, with Divi and seeing the future feature updates, wouldn’t it be safe to say that any theme they create could pretty much be made with Divi as well? Especially now with custom css. Divi is a fabulous theme / pagebuilder and it looks as though you guys ae determined to make it the flag ship of Elegant Themes. I’m expecting to see lots of little Divis out there in the coming weeks and months. Agreed, Keith. I was a brand new ET customer when Divi was released, and now I’ve got it planned for 3 of the sites I’m responsible for running. I completely share your excitement! I can’t wait to see what future updates they add! “…thrilled and excited…” sums up my feelings too. I think that Nick and the tream are going to see sales going through the roof with Divi! I’ll try it now !! I love the Divi. The best yet for my purposes. It got me back into building websites for others. Thanks for all the corrections. I look forward to more advancements with this theme. Nick, terrific job on fixing / adding all these things. I can’t wait to hit “”update”” now. If anyone tells you to stop working and updating DIVI, and says that they won’t continue membership if you don’t create new themes, they don’t even deserve to be a member. Clearly DIVI was and is your best theme ever made, everyone knows it. Keep doing what your doing and make DIVI the absolute best theme out there. We all appreciate your hard work and dedication. Great job on Divi and don’t stop working on!! I concur whole heartedly… keep going, it ROCKS! AWESOME. You hit all of the important ones for me. I have always been impressed by you, but now you have blown me away. Using Divi for the first time this week. It’s truly the best WordPress template I’ve used, bar none, including all the others from Elegant Themes. And that’s saying something! Divi is beyond a doubt, the best WordPress theme I have ever encountered. I’m so confident in it that I am already using Divi in my latest website for a client! You have already remedied my pet peeves such as being able to disable lazy loading images & auto transition on sliders. Is there anything we need to do to update to 1.3? You will receive an update notification in your WordPress Dashboard, after which you can update the theme via the dashboard if you have our Elegant Updater plugin installed. Just went hunting for your plugin….cant find it under the obvious name….elegant updater. Cool! Good to hear. I’m looking forward to giving DIvi a try. I’m doing a directory of places to meditate and have looked at least 500 yoga studio sites lately. . It’s very apparent that the bigger sites look a lot like Divi – beautiful imagery, big and in-your-face – it’s the new look of quality. Love the theme thanks or the update will check it out! Awesome work guys! Hoping to see the automatic update soon! You should see the update notification in your Dashboard pop up soon. Hi, thanks for the updates really good to know. I particularly wanted to have an automatic rotation on the slider so great to know this is available now. Is there an easy way to reduce the depth of the slider bar? Would hope that you are still considering landing pages without menus? Then you would give OptimizePress a run for it’s money. Have you tried using Divi with the WordPress Landing Pages Plugin? I think that would enable Divi to create pages without the standard header or footer. I was thinking of buying OptimizePress, so I would love to hear how it compares to OP before I do. Does OP provide anything of value that Divi doesn’t? Fantastic work! Thank you for your continued hard work and commitment to your customers! Much appreciated! I absolutely love this theme. It is so flexible and easy to use. Thank you for putting so much effort into it. Have to agree here, seems a rather large oversight to have not included some sort of filter for the portfolio page. Especially since the function is already in use in the ‘Flexible’ theme. The Divi Theme represents the future and moving forward, some want to move and some want to stay where they are. Elegant Themes provides Themes for all tastes. The Divi Theme is the best Theme, and its only going to get better! Thanks for all your diligent work to make building a website a pleasure. I love the Divi Theme! It’s by far the most flexible and powerful theme yet. Thanks for the update and keep up the great work! These are nice adjustments and will see if it makes my life easier. The think that really bothers me so much is you need to use so much custom css to style things the way you want them to look. It would be so much easier to be able to select other fonts, font sizes for pages and headings and colors for them as well. “Added link to the Blurb module image” = awesome! Awesome job! Great additions and Fixes!! Can’t wait to update!!! Love the Custom CSS! Thank you so much! Ahhh thank you, thank you, thank you! Now I can add classes and ID to modules, I have to make two sites in a few weeks and this is going to make my job a whole lot easier. Fab bug fixes and update! Frankly, I love what you’re doing to divi. And thanks for given us another chance to suggest new features and one just hit me yesterday, its about the menu/section. It will be superb if ET can provide ways to customize the menu/header section differently or produce a plugin that will create diff menu/header style solely for divi. This singular act will add to the customer base I strongly believe. I can’t wait for Divi 2.0 with amazing features for building modern niche & beautiful website. I’m not regretting for being part of Elegant theme! Thank once again. Been test driving and getting ready to do my first website with Divi. I’ll slow down – Divi is wonderful! One of the best wp themes on the internet, no doubt. Eagerly waiting Divi 2.0 release. Keep the excellent work mate. Great theme now even better. I am looking forward v2. But seriously. I love it! Moving images can be annoying after the first few visits to a site. You deserve the success you have! Divi is great! I’m just making a very beautiful website based on Divi. But you cannot use it for every purpose. It depends on your client and the objective of the website. So, please don’t forget the other themes. Great Work for Divi Page Builder update. Now you should add an horizzontal and vertical menu module, the et recent from widget or module and other one or two sidebar. Divi can become a very very good theme. Just installed the update which was as simple as it gets – the work you guys are doing is much appreciated. However, would it be possible to include the option to vertically align the background image in a slider next time round? Pretty please? Columns within the Slider for images & text is also a great idea. I’m loving this theme and the plan to make it the best. Thank you! I getting so frustrated trying to customize this last week and you seem to have taken care of most my issues. Yay! Stop reading my mind!! Great updates – really loving the ease and variety of custom looks I’m getting with Divi. A great theme. Love it. 1 suggestion, The ePanel can do with a revamp. It doesn’t fit in with the whole Divi/ WP 3.8 feel! I would love to see ET update the panel. Divi is a really good theme, I have to say. Design and functionality is awesome. Totally agree, the current design always causes me to pause and question whether I want to use the theme after I’ve installed it. Stupid, I know, but a quick redesign would give me more confidence in the product. Hah! I emailed them this very comment! They said they are planning on updating it, but I don’t think it will be soon. With so many insanely good options panels from other themes like Jupiter, X, Salient, it’s just weird and off-putting seeing ePanel look like it was designed by a Windows 3.1 programmer when the rest of Divi is amazing! This look great. Question: Will you offer a tutorial on “Custom CSS For All Modules And Sections”? I have been wanting something like this but having the basics will save a lot of time in the future. If use Divi one time, never come back. It’s great! I love DIVI!! Thank you for all of these adds and fixes. I’m truly grateful for all of your hard work!! Great updates. Can’t wait to apply. I was using another theme for one of my websites that predated my subscription to ET and I made what I thought was a routine upgrade to the theme that broke my site. I had tested the upgrade in my sandbox and the upgrade went fine in test, but in prod it broke! I made the decision after many hours of trying to get the site working to rip out the old theme and apply divi. In just a few hours I had a new and improved beautiful working website using Didi. I wish I had just started with Divi, it would have saved me a lot of time and headaches. Seriously love the direction you are going with Divi and appreciate ET resources and support! Keep up the good work! I´d like to see the “epanel” UI updated…. I think we will see more update on divi in upcoming weeks. Love Divi! I would really enjoy seeing a filterable portfolio and possibly more options for displaying photos/ designs and possibly a portfolio carousel. I would like to display a lot of my work “more to scale”- such as when you click on the thumb a larger image comes up. Like more photo effects/ galleries that could be built in? I have been using the regular image module but I have often found people like the experience of being able to make the image full screen or pop out. I am skeptical of purchasing plugins or even installing them as I never know what problems can occur (Have had that happen more than once. Not pleasant). While I have gotten numerous compliments on my new Divi site- I feel like it can be even more incredible and me if I could have it go that step further. Just some ideas from my end. Thank you for continuing with the updates! Keep up the good work. Great updates — thank you! I left this suggestion in the forum yesterday, but will also add it here. It would be great to be able to easily add a color to the background of each section so that type is legible without it blocking out a website’s global background image on the left and right sides. Currently, when I add a white background behind my sections it extends full-width, which defeats the purpose of having a website background image. Also, it would be great to have a widget for the mailing list form so that it can be added directly into a sidebar. Very happy overall with Divi and the support from the ET team! Sorry if it has been implemented or mentioned (haven’t downloaded this new version yet) but I’d love to see an Aweber option for the SUBSCRIBE MODULE. Sounds like you need to clear browse cache, as well as any cache plugins you are using. I cleared my cache and it fixed that same issue for me on 2 Divi sites FYI. I just hit the update button, Divi is a fantastic theme! Thanks ! Thanks for fixing most of the problems in new 1.3 version ! this theme and it’s possibilities are great. What I was wondering… will this awesome included page builder be available as a plugin also? I think Divi is a great theme, I really do! Would love to see the audio player become a part of it. You guys have a slick one in the Harmony Theme that perhaps could be integrated or reinvented. Could be interesting fix the bug with the meta description, meta keywords and canonical URL’s for next updates of Divi and your themes in general way. Drat, my membership expired just before 1.2 was released. Looks as though I might need to renew if I decide to use this theme. Love the look of it though. Such so great information you shared here, i am so inspired here keep it continue. Divi is cool…will this like “explorers” map based home page be added as a module in the future? Please, find a way to disable lazy load on mobile devices!!! I just hit the update button, Divi is a fantastic theme! Is there a known release date updates with the post types? I can’t find any documentation or threads that have been resolved for creating the one page sites using the IDs. Any point in the right direction would be greatly appreciated. You need to give each row a ‘Class ID’ and then use the ‘Link’ options when you create your menu. For example. You have a row on your one page site that shows some items from your portfolio. The Class ID could be ‘portfolio’ (without the apostrophes’) and then the link you would place in your Menu Item would be #portfolio. Internal link added without problems. How do we create a smooth scroll effect to that particular row? I saw that you managed to integrate smooth scrolling on your website for a one-page layout. How did you do it? Please share! @Jax, I have been stressing with that plugin for about a week now and can’t get it to work on a Divi Theme website I’m building. Any tips? Thanks. Good work guys, DIVI is awesome…..i have a random question…. i find myself wanting to use different elements from different themes, for example….. i’d love to be able to use the map feature of explorable in divi…….. I assume from now on, every other theme will follow in divi’s foot path…. in terms of it’s modular design. Any plans to take different elements from your “older” themes and make “modules” for future themes. (like the explorable example above)….. i understand its a odd thing to ask. 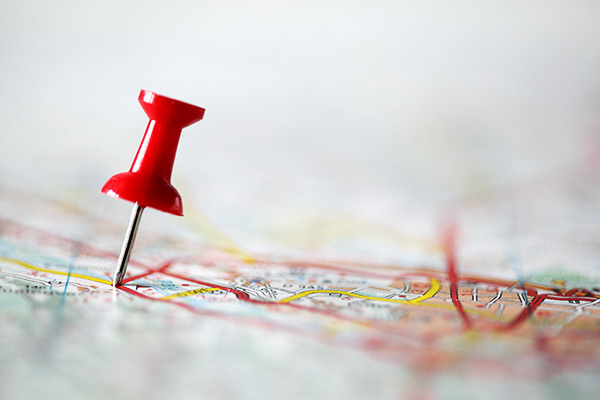 do you have a “road map”… oh and make your blog searchable already! Keep up the awesome work guys top work! I translated the Divi’s language file for the Portuguese of Brazil. The translation is only 55% complete. I just translated the frontend. Great job! I absolutely love this theme. You’ve taken a very good theme and made it even better; can’t wait to see what’s in store for Divi 2.0! I’m impressed. I’m looking forward to upgrading my website as mine isn’t responsive yet. I used Webly a few years ago, and I got some great mileage out of it. I thought about completely custom designing the next version of my website with the WooThemes Canvas theme, but after seeing Divi, I think I’ve changed my mind. I’m going to set up a beta site first. Keep up the great work! The support in ElegantThemes is great, and the price is very affordable. My membership just expired but I would renew it because I just built 2 websites using DIVI and my clients were thrilled when they checked their new site. Is it better to use DIVI with it’s built in building tools, or another template with ET Builder? I THINK it will help me very much with customizing. YET, YET.. could I get some help there with some instructions about HOW exactly to use them, as I am not sure, I do know that well enough now. Maybe one more of that good videos? That would be GREATLY appreciated!! Yes, please! A video showing how to use the new CSS ID and and Classes in each module? With practical examples. Wow I’m very impressed. Adding the class and Id to modules was the biggest most important update, thank you very much! I believe you should continue improving divi, and if you get too much negativity in regards to no new themes, you could take it to a vote. Instead of releasing new themes, since I believe divi will eventually be able to create any current theme and future ones as well. 1.Fully pre built layout examples realeased every month instead of new themes. 2. Create plugin modules every month for specific functions. For example have a plugin that adds the functionality of explorable theme, maybe not that extreme but you get the idea. I love the update post please keep releasing those for divi. I’m having trouble disproving this equation! The things i need for my sites is more Magazine modules. Ways to display the leastest post, a featured module, Custom category modules ect. Can’t want for future updates Of this theme. 1. Please update lang files. As i create many multilingual webpages, it is very important. For example the string “search” in mainpage searchbox doesnt show up in po files and even the wpml cant find it. Yes, i can change it in php. files, but this is not the solution. Also some strings, when translated in po files, dont work on the page. 2. Now we can select image with no animation, but when you select image with animation, and your page dont need scroll, images wont show up. They only appear, when you scroll your page. 3. If you have short page, then footer stripe with elegantthemes and wordpress links moves to the middle of the page. It looks really crap, would be nice, if this stays always bottom of the screen. Great update. However I wish you had fixed the uneven featured image issue also. Can you be more specific about what you are referring to? How are your featured images “uneven” and have you Regenerated your thumbnails? Hi Nick, Divi is spectacular. For what it’s worth, I would love to see a Youtube-style theme built from Divi – one that would allow users to sign up and upload their own videos. I know a lot of people out there are looking for such a theme. There aren’t really many options (deTube, but no support or updates) in that category. I know you did EVid, but an updated, more robust version would be a great addition and potentially a huge draw to ET. Something to think about. Keep up the good work. I just wanted to say thankyou, and that i love your themes. Especially divi. thanks for keeping work on DIVI…. I’m sure in a few time it will be a killer theme… please make it fully translatable. I am trying previous Divi version on my other webs. I find out that little confusing in Fullwidth Slider Image size. sometime the image will be cropped. I dont know if it still a problem in new version. Hey is the upcoming event calendar on the development plan? Of course having page builder work with posts would be FANTASTIC! Make use of the WP posts formats (video, audio, aside, quote, status) and the functions for 3rd party featured videos to work as intended replacing the featured image automatically. this means that “Divi” will be the onIy template from now? Sorry, but on Themeforest (just an example) templates are more complex than this, and the price is more attractive in this case! Excellent work Elegant Themes team. This is by far THE BEST wordpress theme I have ever worked with. Quite frankly, I actually think that Divi alone is well worth $249 (Lifetime Access). Keep up the good work! Ok, I love all these updates and many answered my problems. Unfortunately, I still don’t understand why there isn’t a simple way to make single posts look the same way as the main page. Seems silly to customize how the main blog page looks but then the posts can’t carry over that look. Same with the shop and single products. Perhaps in time. For now, I’ll have to settle with internal pages not looking as slick as the rest of the site. I’m not technical at all, so please forgive me if this is a silly question.. I was wondering if there are social plugins for Divi and/or the other themes? I was also wondering if I would be able to figure out how to design my own site as a complete novice or if I would need to hire a designer/developer to put mine together. Thanks in advance! Can’t wait for custom headers and footers, but in addition to custom css, can you add custom js/html? I would love to add my own css/html/js to a section or perhaps a page itself. Right now I use a plugin and it’s a terrible implementation of it. With so many coding sites that provide css/js/html code, this would kill it and make Divi THE theme to get. 2. Do not duplicate (if I place 3 Blog modules of the same category on the page, they should not duplicate posts, but set them in order the modules are placed, just like there is only one module on the page). Or even set the order of modules with number field. what’s the ideal size of Divi homepage slider image? What is the tallest image it can handle? can Divi use custom posts in Builder Elements and Modules? I am just teetering on the edge with going for Divi, but my worry is that sites may end up looking very similar (i.e. an obvious Divi website). Also, and perhaps more importantly, the headers seem to be lacking options for individuality. It would be great if there were examples of real world Divi sites that I could review. I hope that you create an optional ‘Cart’ button in the header on the next update. That’d make it a complete ecommerce theme. Great theme and beneath the visuals everything well coded. Anyway … how can the theme builder be utilized in posts? Is it possible to create original looking navigation bars in Divi? I.e. size of logo and position, positioning of navigation links? Took about two years to catch up to other top theme developers…not a bad start…good luck guys. WP est nouveau pour moi, mais avec ce thème j’ai envie de tout refaire , tellement on peut rester concentré sur le métier ! il va devenir plus facile d’apporter de la valeur ajoutée pour les clients ! Ce produit vous apporte une vision autre ! j’ai des questions mais si peu, comment faire cohabiter deux themes par exemples…. I have built a site with Divi. I love the flexibility. I love the drag and drop features. But, now my site won’t load. constantly have an internal server error code 500. I activate other themes and they work fine. I do not want to start over, I want Divi but I want it to work. and I do not know what the problem is. Anyone else struggling? I couldn’t find the information if this them allows relative links within a page to which the page would scroll down. That would make possible to build a one pager. This is an option in the module. The slider will slide automatically if auto-ration is enabled. I love Divi and I plan to buy a membership – only to have THIS Theme. would like to know how the big slider image animation effect was created. especially on the second image on the demo site. Great theme, actually this works more like a framework rather than a theme. Anyway, wanted to ask if in the near future you’re going to add styles and shortcodes for datatables, charts and forms. Would be a great addition. Hi, Just working with a client and I have come up against the restriction of not being able to add shortcodes where I would like to anywhere in the layout – for instance I have revolution slider and I cannot seem to be able to use it in replace of the included slider – this is nuts. Please put in a simple text box that can go anywhere in the layout as needed. Then anybody who knows what they are doing can add on and do what they need as required. Potentially this restriction will result in the usage of Divi being dropped – its not possible to do what they require with the built in slider. Divi does come with a Text module, and you can add any shortcode to it. I’ve got a question – I need to make the font bigger and/or bolder in the top menu, how do I do that? If you need help with anything, please open a ticket in our support forums so that our team can assist you. My dashboard is telling me there is now Divi 1.5 ….where do I find details on what this update includes? You can check the changelog, either in the theme details in your WordPress Dashboard, or in our member’s area. On the top rotating banner images is it possible to have each image with a link to a different page? Perhaps also a short description on each image? Thank you for a great theme. dont understand why im unable to use page builder options on the layout builder- The page builder sliders are so much easier to use than the layout builder sliders that wont resize your images to fit-the main problem with Page builder is it doesnt have the resizing column option that layout builder has- its crazy that the you have to choose between the two instead of being able to integrate the best features of both-also not sure why the tab image shortcode slider doesnt have the options the page builder sliders have? How/where do I edit to make any contact submissions make it to my email? I don’t know where to specify MY email address. Contact Form not working….how can I set it up? I just started to work with Divi for my new website (testsite) and I love this theme! But now I want to change the size of the slide, for it is too high for my website. It would look better if it was about halve the height. Can anyone tell me how I can change this? Amazing ,New design looks Very fantastic Thanks to the team on the release. divi theme is one of good theme i see in wordpress. but i have small problem with it: in the “Fullwidth Slider Module Settings” i can’t clic on ” add new slide ” boutton. when i clic on nothing happen. there are a ussue for this probleme? there are some one else who has this probleme? I have the same problem. Any solution found? Found the solution to the “add new slide” problem where you click on it and it won’t open. Update to the newest Divi version! Hi! Is there any way I can make the footer stick to the bottom of a page (when the page is short the footer goes in the middle of the screen). Ditto the question posed by G.Mager about how to make the footer stick to the bottom of the page. On short pages, the theme looks terrible when the footer appears anywhere else than bottom. I’m having the same problem that you mentioned about the fullwidth slider component. I am working on a site that I don’t want to go live with as yet. The fullwidth slider was working a few weeks ago…now it’s not. I have Divi loaded on all 10 of my sites. No issues with any of them except for the one I have showing. It won’t allow me to upload a logo on the ePanel for some reason. The ePanel is blank and when I tell it to upload it just cycles back to black and won’t upload anything. Not sure if you can help me figure out why? For sure I will do improvement the way I used to do commenting. Helped me lot to upgrade my knowledge. Firstable i love your theme 🙂 its so great also now with the new update with the scrolling one page, this is exactly what i searched last week 🙂 Thanks a lot. Now i make a site for a Fotograph, and i need to have Filterable gallery, is this possible? Do i dont see this options? Thanks for your feedback and your GREAT work! I know Elegant Themes are not intended for customisation, but every other one of your themes seems to child-theme beautifully – I wish this one did, since Divi is otherwise a practically perfect theme. I have tried clearing my cache but I can not get the search icon to appear, the U still displays. This has a n effect on the arrows for the homepage slider and also the phone icon at the top of the page. Hello! why do not work comments on the pages and projects in this theme? How to always make visible the complete search box within the menu itself. Currently it comes when we click on the icon and it shows below the menu. I want that box to be always visible within the menu. I want to add a mask/overlay on all the slide images or Videos on Divi theme Can you pl help me with this ?? Just uploaded this baby…and I am thrilled…I would appreciate it if somebody told me an easy way to add H1 H2 H3 to the text….and how to change fonts. I don’t want to go digging into the code. Hi – how about an easy way to hide sections/modules without deleting them so you can try different layouts? Hi, this theme is great! what will be nice is a few options to change the size of the images in the sliders and also the option to be completely bleed ( no border around it, no padding) thanks! I have a same problem. Did anyone know how to change a size of image in Divi slider? I tried everything.